Breaking news: I’m thinking Christmas. It’s almost Black Friday. 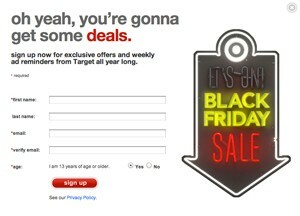 I’ve been reading about Black Friday email campaigns for two months now, but between you and me, GOSH! I’m a small business. I’m DOING business (like you are) and I’ll think about Black Friday in November when I’m good and ready. Let’s put Halloween decorations away before we go there, shall we? The decorations were put away on Thursday, so we’re live now. I have no more excuses. 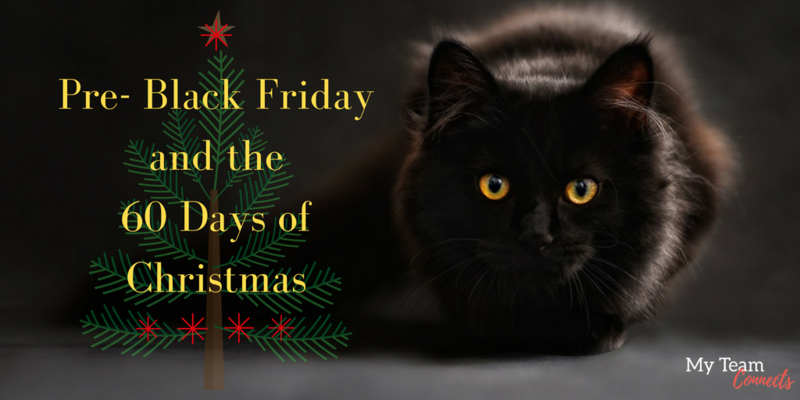 Now that the “60 days of Christmas” are upon us (yes, the holidays last from Halloween through he New Year now) how are you going to bump up sales? I have a little hunch that some people might be spending more this year. Some, like affluent boomers may treat themselves to a personal present on the extravagant side. Others may be ready for some big ticket purchases like a trip or some home improvements. Maybe not necessarily in the Christmas present genre, but be on the lookout for “spendy” people this year. It’s just a feeling I have. How do you appeal to the people who want to spend money? 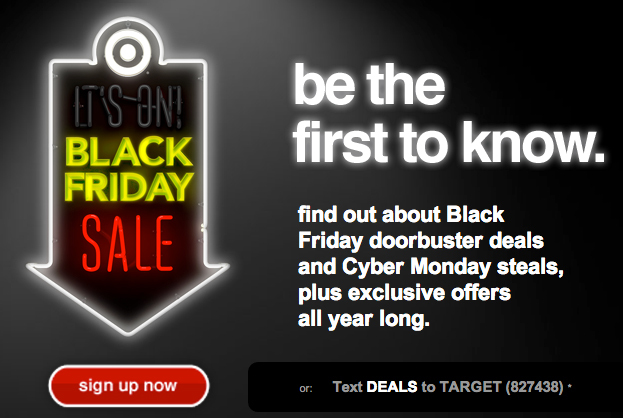 Well, by positioning yourself before Black Friday in their inbox, naturally. 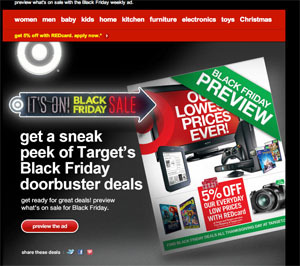 Check this out: The Black Friday preview email from Target. Anyway, this one is great! I’m already on the Target email list. That’s what kills me. 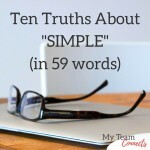 I’m RE-opting in as a primo-engaged member of this list! 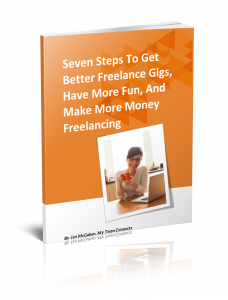 Not sure if you’re ready to do this type of segmenting, but you can learn from the techniques if nothing else. Black Friday emails are a must! How would you prompt some extra engagement from your list at this time of year? Will you reveal an amped-up level of savings for people who voluntarily choose it? That could be a great strategy for your holiday sales boost! The subtle nuances are so sweet: The darkened neon lettering saying “It’s on!” bait the customer who’s looking for deals. Kind of makes you wonder when they’ll turn on the lights. Maybe it will be earlier for email customers? That’s what I’m thinking. It’s early but not too early. It’s doesn’t smack of Halloween or Thanksgiving OR Christmas. It brands Black Friday as its own special holiday. It leaves the reader wondering when the sale will actually start — almost guaranteeing a great open rate from now through Nov. 23rd, the day after Thanksgiving. For customers who regularly shop at Target, this email serves as an affirmation that yes, they still want to be on the Target email list. Re-engagement in a subtle and easy way. The consumer assures the brand that of course, she’ll want the latest deals, verifying that she is “the one” to market to all year long. Do you see what they did here, all in ONE email campaign? Are you ready to bump up your email campaigns for the holidays? Can’t wait to hear from you… The time is NOW! Just received this morning: a preview of the sale. Lights still darkened in the picture, but I can click on the flyer and find out. 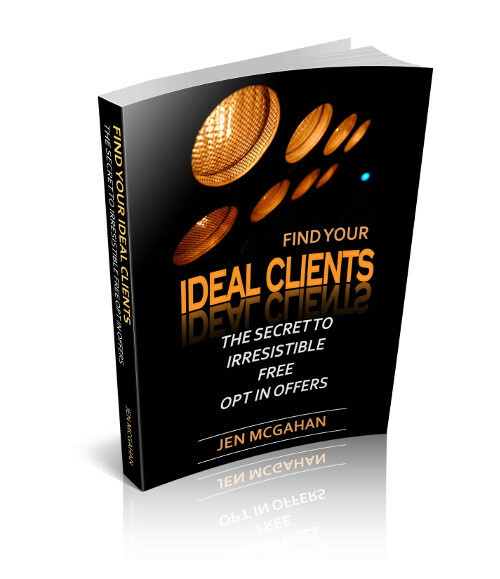 Manage to give the customer what he wants, and you won’t have to give him anything else for the rest of his life.